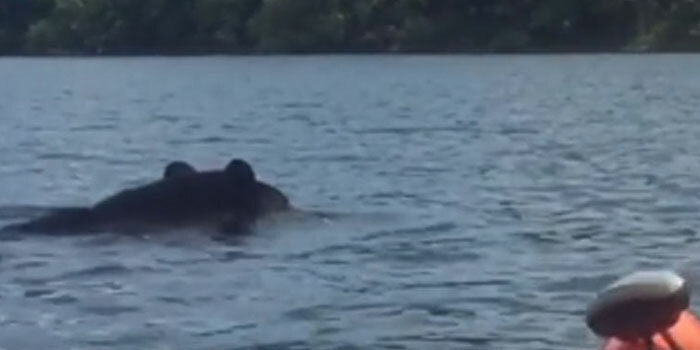 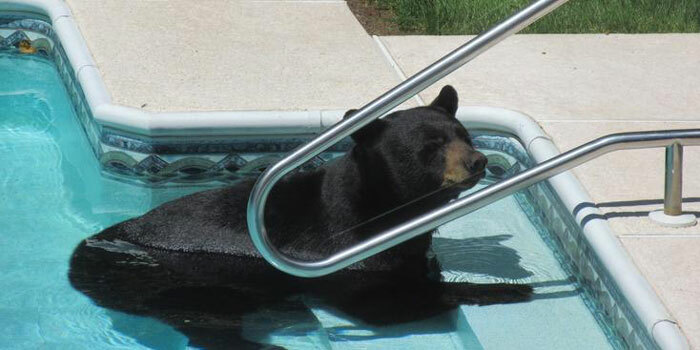 BLOOMFIELD, CONN. — Lynette Grande planned to take a swim in her pool Saturday afternoon, until she saw that a large black bear had beaten her to it. 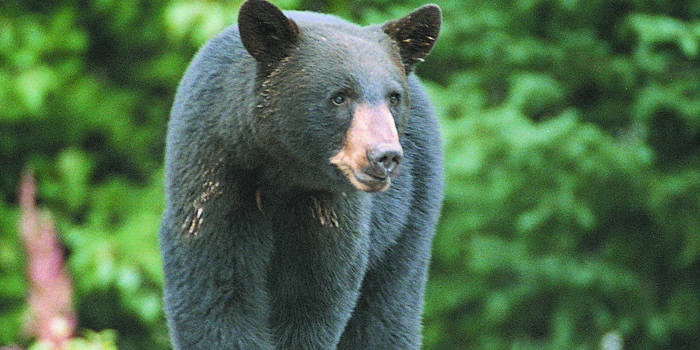 LOS ALAMOS, N.M. – Wildlife officials say the bear who attacked a marathon runner in the Valles Caldera over the weekend is dead and will be tested for rabies. 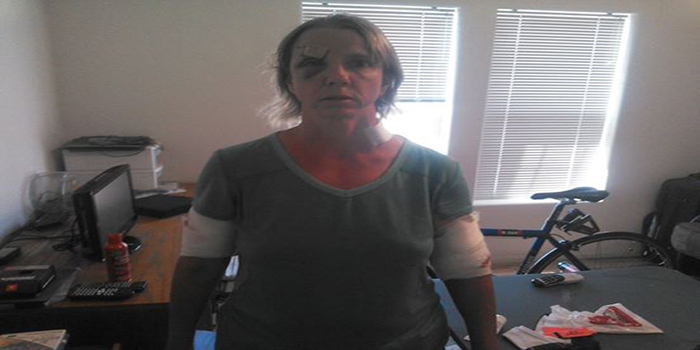 AVON, COLO. — They hooped and hollered and banged on the walls, grown men in head-to-toe firefighting gear — including helmets — dispatched in the middle of the night to a second-floor apartment in a small Colorado town to ward off a pesky, unwanted intruder. 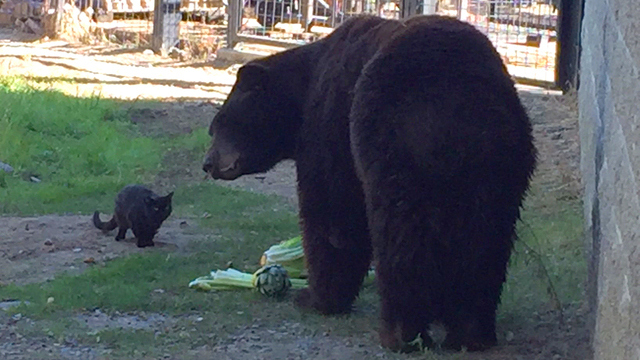 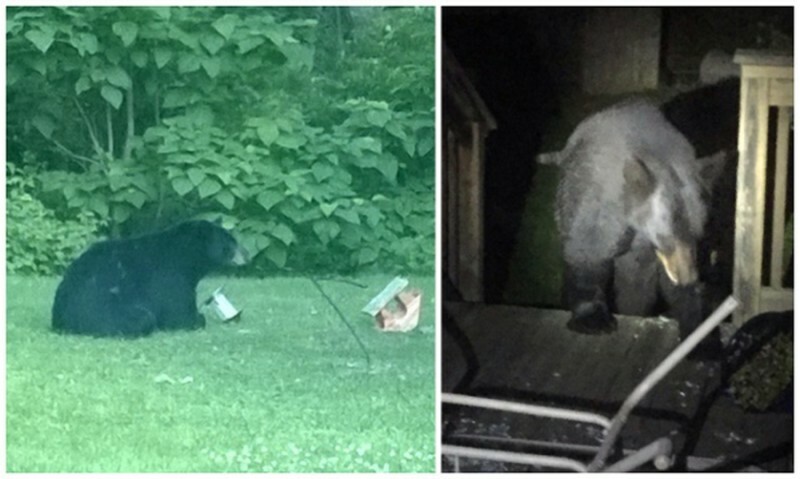 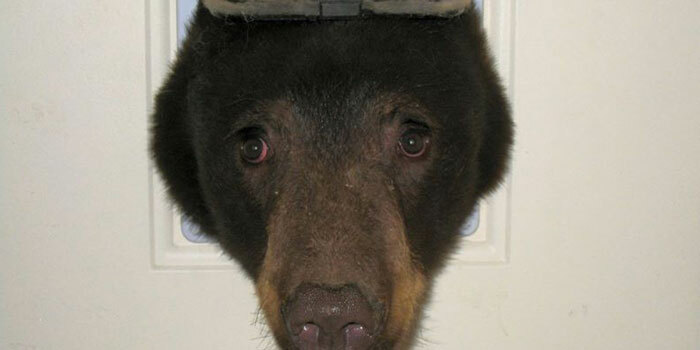 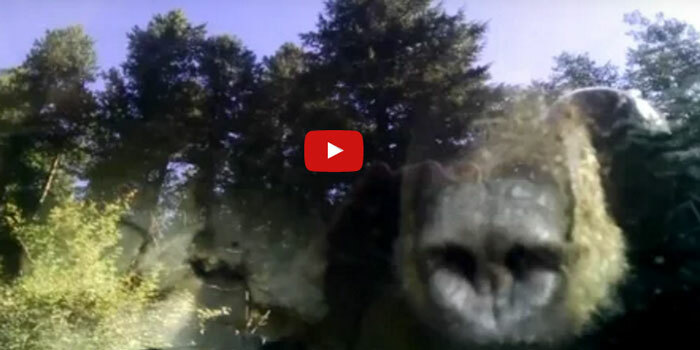 STEVENSVILLE, MICH. — What’s a bear to do after a long winter’s slumber? 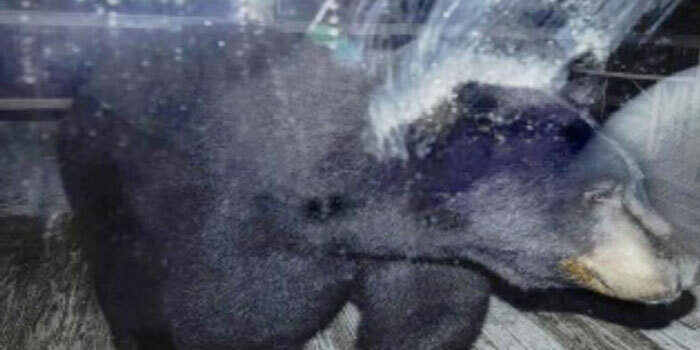 Wildlife biologists with the DNR Division of Fish & Wildlife say the Michigan black bear that walked into Indiana last week has turned west based on evidence collected over the weekend and reported sightings today near Michigan City.